What is the nature of your College It is a Kildare Ministries Catholic school in the Brigidine Tradition. What parts of the role of Principal give you the greatest satisfaction? My first experience of Principalship was at a small rural primary school. My greatest satisfaction as Principal is the opportunity to invite the community into the mystery and treasure of our faith story especially when expressed through the charism of our founders, building relationships with students, staff and families that enable all to flourish, empowering student and staff leadership to generate agency and school improvement and developing strong vibrant learning cultures for all (staff and students) to experience success and growth. I have learned in these few short weeks, that Clonard College has a proud tradition of educating students in social justice, has a strong sense of community and supports the students to build friendships that last lifetimes. I believe that nationally we must continue to advocate for the opportunity for families to have the choice of a quality Catholic education that is fairly funded and personally I hope to continue to encourage and celebrate the place of women in senior educational leadership positions. I sense that educational change and mental health concerns are two issues that are shared by all schools across the country. Where is your College located in relation to the Capital of your state/territory We are located in Heidelberg which is about 15kms from Melbourne CBD. It is located in the North East of Melbourne. 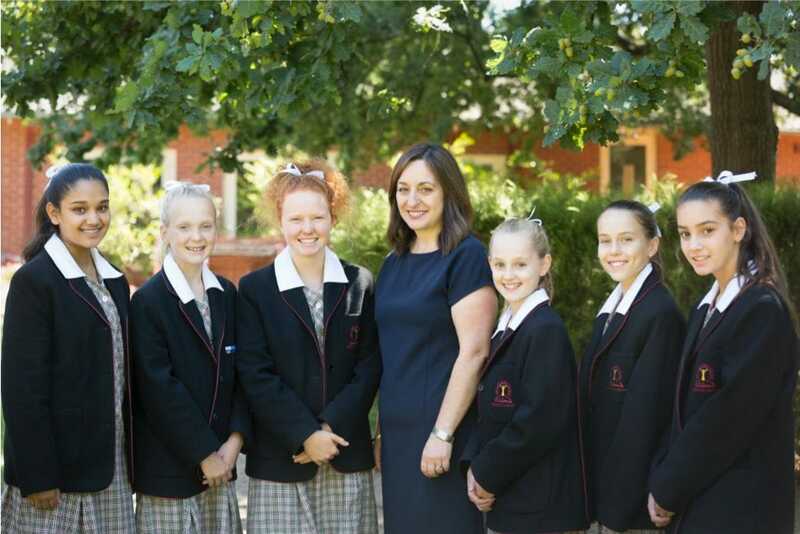 What is the nature of your College Year 7-12 girls school owned and operated by the Sisters of Mercy. 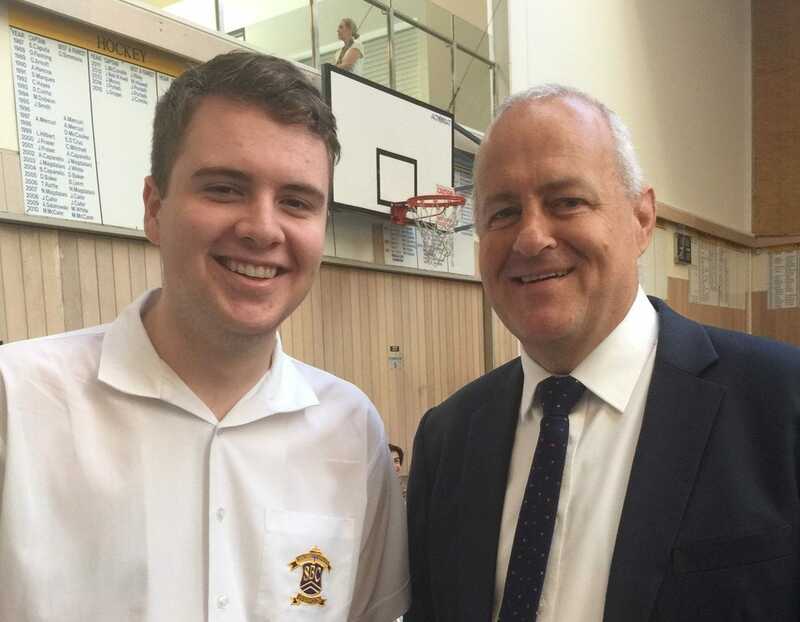 I was Deputy Principal-Leader of Learning for 10 years at Emmanuel College which has two campuses in Altona North and Point Cook. Having only just started in the role I don't really feel qualified to answer this yet. There is so much I am loving about the role but I think the thing that is standing out for me at the moment is making connections. I am enjoying developing connections with my community but also the broader range of professionals that work in education. 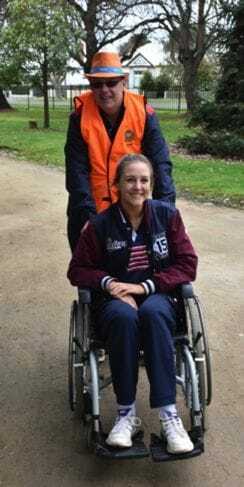 At OLMC the girls regularly talk about the school as a place to try out new things and "have a go" regardless of your ability or talents. At OLMC inclusivity is really practiced. This is a community and it is one that is striving to be excellent in all that it does. 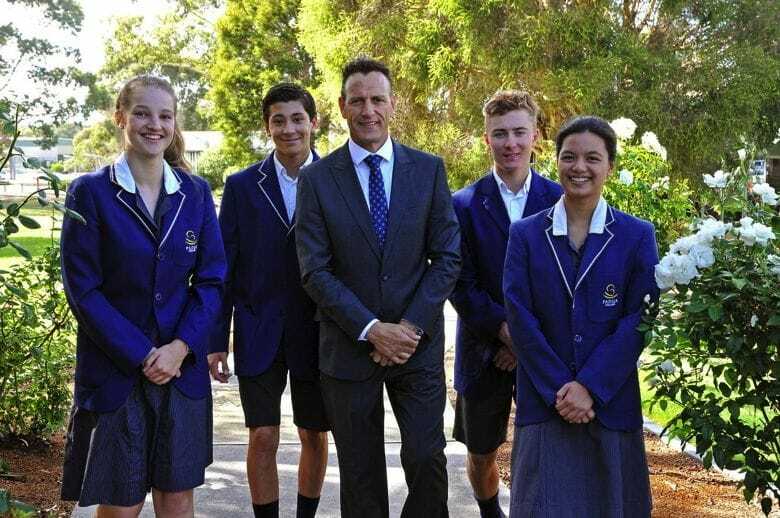 Enrolments in the surrounding Government schools are quite strong, therefore maintaining our excellence and point of difference to make us the school of choice remains a challenge for all of us. 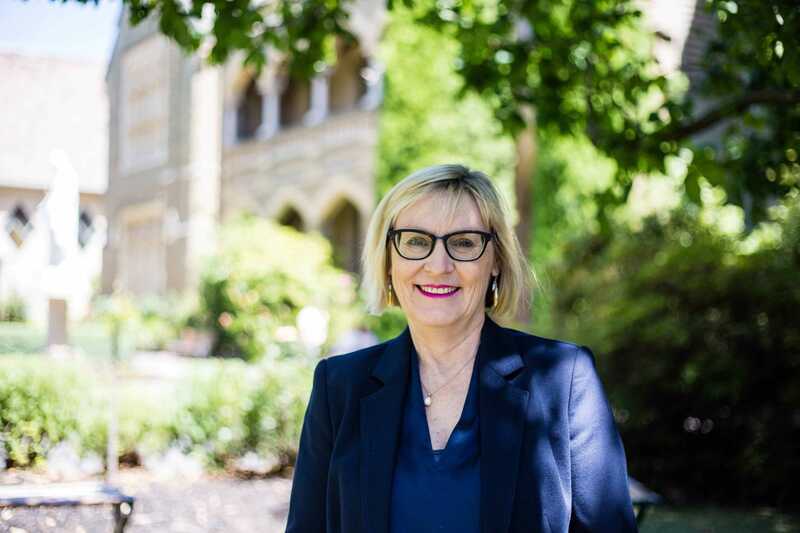 Moving forward, from the challenges that have been exposed by the Royal Commission, in a way that restores trust and faith in both the people and the institution of the faith. What is the nature of your College Kolbe Catholic College Greenvale Lakes is a Catholic Co-educational Secondary College, established in 2007, serving the families in the outer northern region of the Archdiocese of Melbourne in the local parishes Our Lady's Parish of Craigieburn and Roxburgh Park, Good Shepherd Parish of Gladstone Park and Greenvale, and Holy Child Parish of Dallas and Meadow Heights. 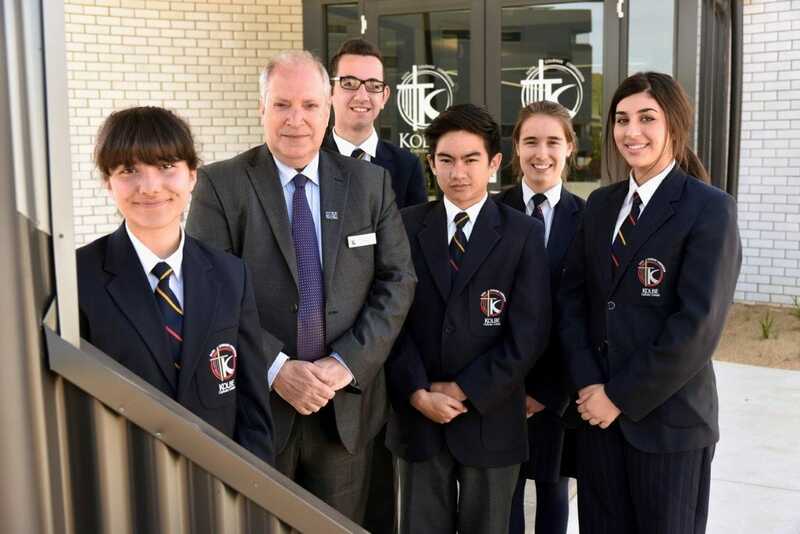 Kolbe welcomed our first group of students (112) to Year 7 in January 2008 at a temporary site - Windrock Avenue Craigieburn that was the 'future site' of Mother Teresa Catholic Primary School for 2009. The College moved to the permanent site at Lysterfield Drive Greenvale Lakes in February 2009, with 252 students in Years 7 and 8 and 28 staff. Our fourth group of Year 12 students graduated from the College at the end of 2016. Planning events and celebrations for acknowledgment of Kolbe's first 10 years 2008 2018 are under way. Working with students and assisting them in recognising the potential that lies within. Being part of a team that introduces change that inturn leads to improved learning outcomes for students. 1. The development of the East Campus (commenced in 2011) as a facility catering for the 21st century learner and teacher. 1. To cater for families in one of the fastest growing communities in Australia. 2. Competing with Government Select schools that have emerged in increasing numbers around our local area. 1. The funding issue that is current suggests that there is work to be done at the political level as well as in the public domain regarding the relevancy, importance and significance of the role Catholic education has played, continues to play and will play into the future in this country. 2. To ensure current and future staff understand and embrace the Catholic ethos and particular charism of the college and are able to contribute to this environment when working with our students. What is the nature of your College Star of the Sea is a Catholic Independent Girls' College, Year 7-12. It was founded by the Presentation sisters in 1883 and since 2014 has been part of a new PJP, Kildare Ministries, which has schools with Brigidine or Presentation spirituality. The community of parents, staff and students have been very welcoming. Otherwise, it's only been 3 weeks! The official response to the Royal Commission and the impact this may have on future enrolments as people lose trust in the institutional Church. What is the nature of your College John Paul College is a 7-12 coeducational college. It is inspired by the charisms of its two founding orders the Sisters Faithful Companions of Jesus and the Marianist order. The same as in my role as teacher: seeing young people grow, develop and learn. 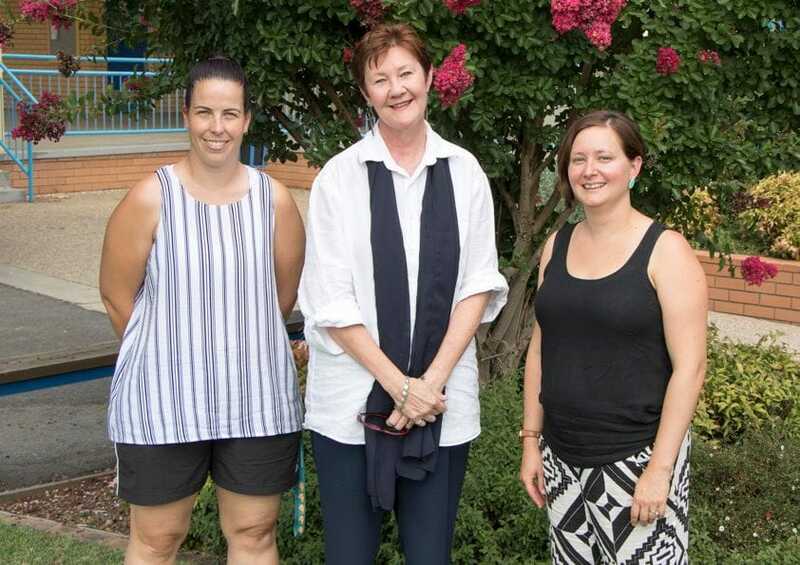 The wonderful commitment to social justice that is prevalent at John Paul College and the powerful connection to the community. 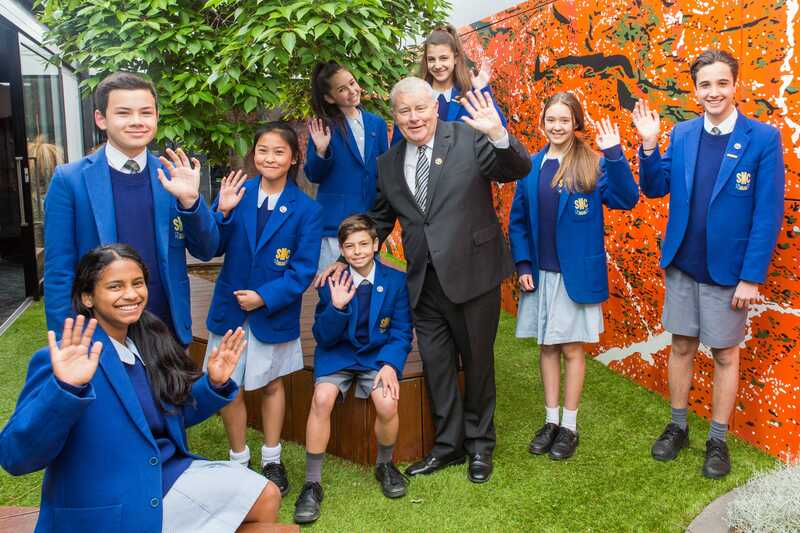 Continuing to attract enrolments with increasing competition from independent and government schools in our region. Increasing focus on narrow measures of effectiveness of school and individual school performance such as NAPLAN, VCE data and PISA. Ensuring that we remain faithful to our Catholic identity in a climate of uncertainty and distrust in the institutional church. What is the nature of your College The College is a Co-educational Year 7 12 school. 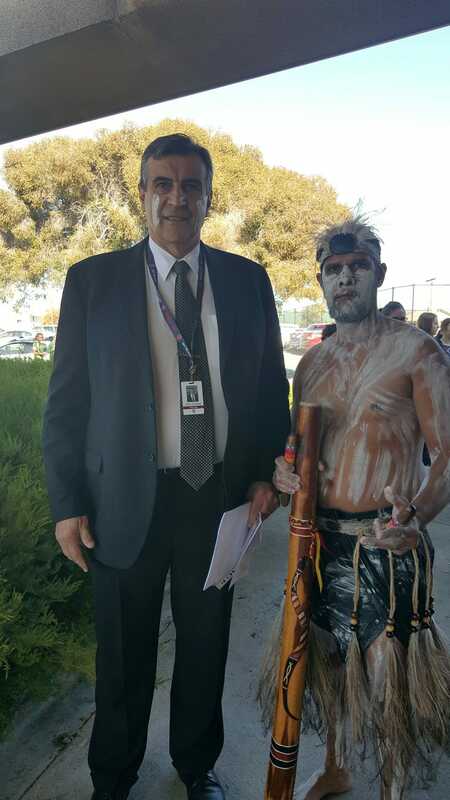 Prior to becoming Principal of Nazareth College, I was Deputy Principal Head of Tyabb Campus at Padua College. Working with people - students, staff and parents. I am proud of the student pride in their school and the way they interact within their community. Also, I am proud of the manner in which staff members have worked hard to instigate improvements over the past few years. It finally paid off with excellent results. The ageing population and limited number of students in the surrounding areas. So we have to become 'the school of choice' and inform the surrounding communities of all the fantastic programs that Nazareth offers. In a nutshell, we have to market ourselves and become the school of choice. Nationally, the reputation of the Catholic church is under scrutiny and all facets including secondary schools fall under that umbrella. This is not a bad thing, as we are held accountable and are transparent. Secondly, churching the unchurched is something that secondary schools are good at. 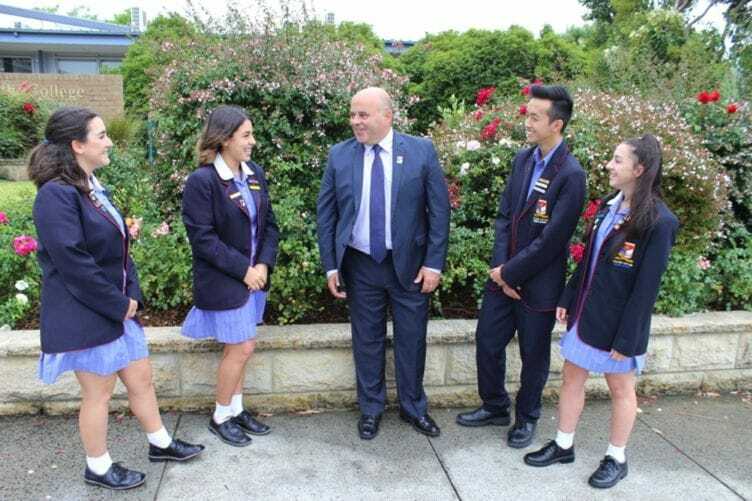 Catholic secondary schools are blessed to be working in conjunction with Parishes and families in providing a rich and varied religious experience. Student involvement in social justice issues and their ability to support those in need are strong points and help in their religious formation. 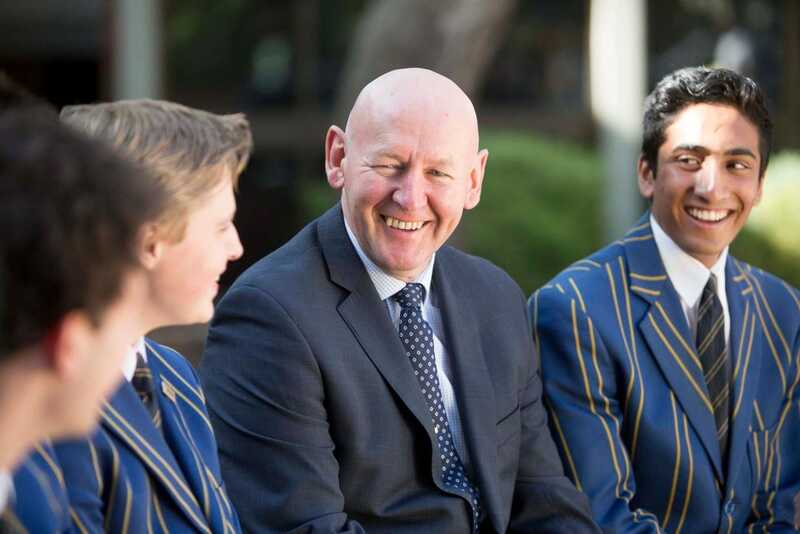 St Bernard's is a comprehensive boys' College that enjoys a strong reputation in the local community and produces excellent results in VCE average scores. The College has a rural campus on the Great Ocean Road near Lorne that caters for a Year 9 away-from-home program. The College has a demonstrable strong commitment to social justice and to the development of the whole person, consistent with the Edmund Rice charism, the modern expression of which is found in the EREA Touchstones of Liberating Education, Gospel Spirituality, Inclusive Community, and Justice & Solidarity. 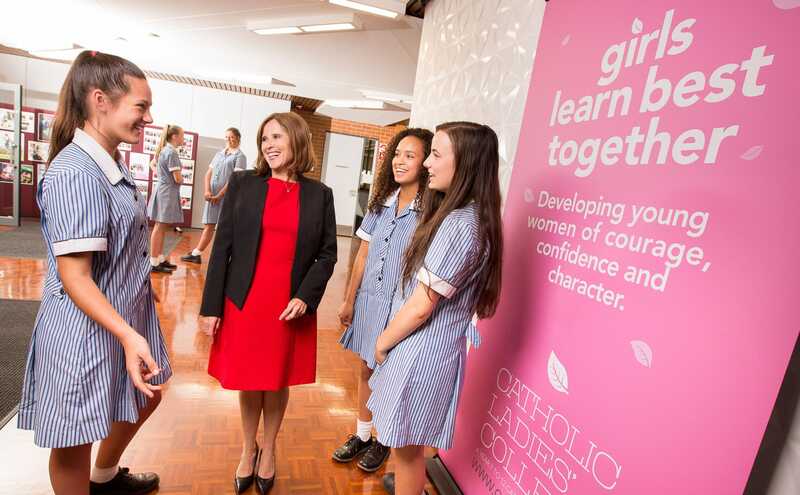 The Essendon area is serviced by two quality Catholic all girls schools that cater for cc. 1850 students. The same community is serviced by just one all boys school, St Bernard's, at 1450 students. The community desire for Catholic school places in an all boys setting exceeds current capacity to deliver. There exists in this community the genuine 'risk' of losing families from Catholic education, families who have supported Catholic primary school education for seven years. One issue is forging meanful links between school and parish. A related issue is helping students move from a single 'faith option' for many - that is, moving from belief to unbelief - to a situation where they have CHOICE: moving from naive belief to an integrated belief that stands up to the challenges of a modern secular society. The key, I believe, to guiding and forming students in this regard lies in better teacher formation. Where is your College located in relation to the Capital of your state/territory Colac is located approximately two hours to the south west of Melbourne. Very proud of our students and staff and the connections that we make with our families. The implementation of our Master Plan over the past ten years has seen the construction of contemporary learning spaces which enable 21st century learning opportunities for our students. Ensuring that the learning that we provide is engaging and provides authentic witness to our mission in Catholic education. Ensuring affordable education and communication of mechanisms of support for our families who are affected by the challenges of the dairy industry and other agricultural sector industries. Accessing relevant professional learning opportunities for our staff in a rural community. Accessing adequate provision of bandwidth to allow our students to be provided with similar digital infusion into their learning as students in metropolitan areas..
One of our main challenges is to retain our Catholic Identity now and into the future. The ever expanding list of compliance and regulatory requirements that take up vast amounts of time and energy within our Colleges. A number of which do not necessarily lead to improved learning outcomes for our students and run the risk of minimising our autonomy within and as an education system. 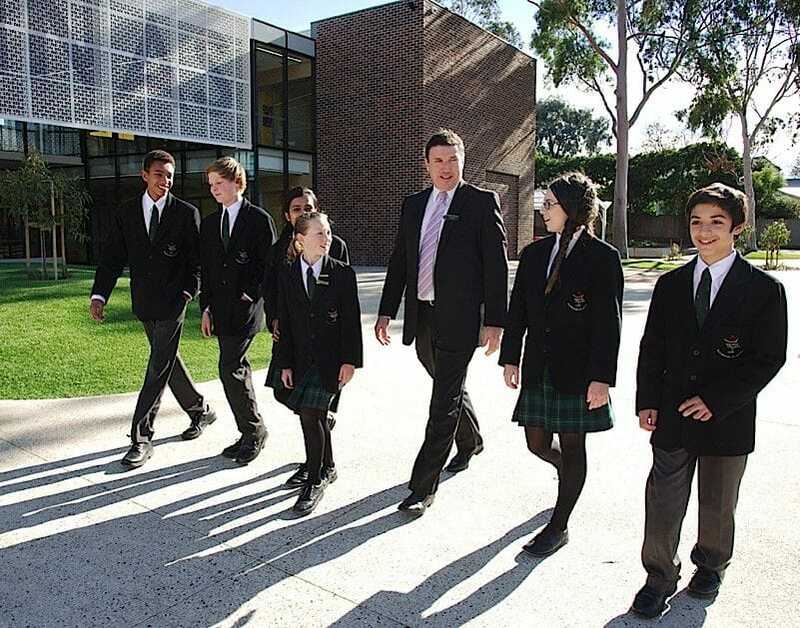 Where is your College located in relation to the Capital of your state/territory St Monica's College, Epping is situated in the northern suburbs of metropolitan Melbourne. The College also has a rural campus, Ostia, at Strath Creek in Central Victoria. 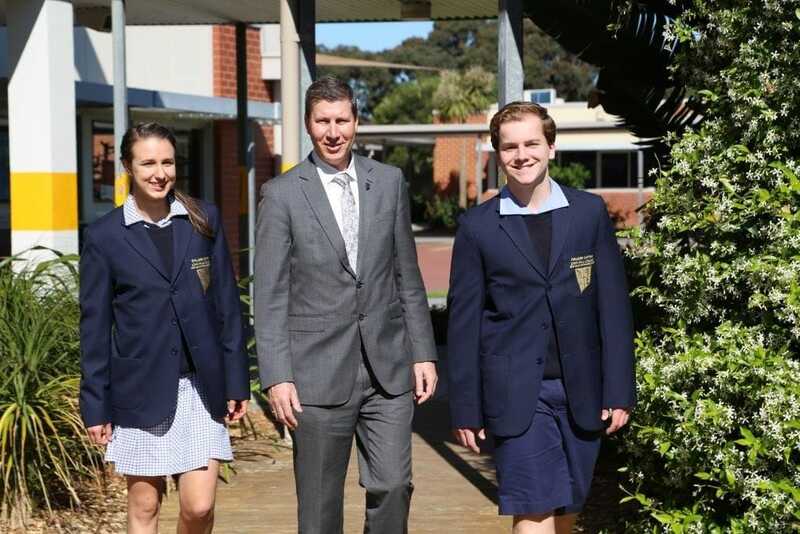 What is the nature of your College We are a Catholic, regional coeducational College (Years 7 12) located on two metropolitan campus in Epping and a rural campus in Strath Creek. I was Deputy Principal of Parade College (CBC), Bundoora. We are proud of our curriculum offering diversity and breadth and our Wellbeing structures. We are located in an area where new housing developments are occurring and we need to meet the present and future demand. We are also concerned that as many of our more established regional parishes are on a lower socio-economic level, that we ensure all families who seek to enrol at the College can have access to the College. Adequate and just Government funding is a major issue for Catholic Education. 1. We have a very strong sense of belonging and students are proud to be members of the Aquinas community. 2. A focus on learning that is reflected in the design of "state of the art" visible learning spaces. 1. Very high demand for places. 2. Keeping Catholic education affordable for our families. 3. Challenging our students to aspire and chase their dreams. 1. Catholic identity and the relevance of the Church in the lives of our students (and their families). 2. A lack of funding certainty. Restoring the faith and trust of our society in the Catholic Church as an institution and continuing to promote Catholic Education as viable, holistic option for education. 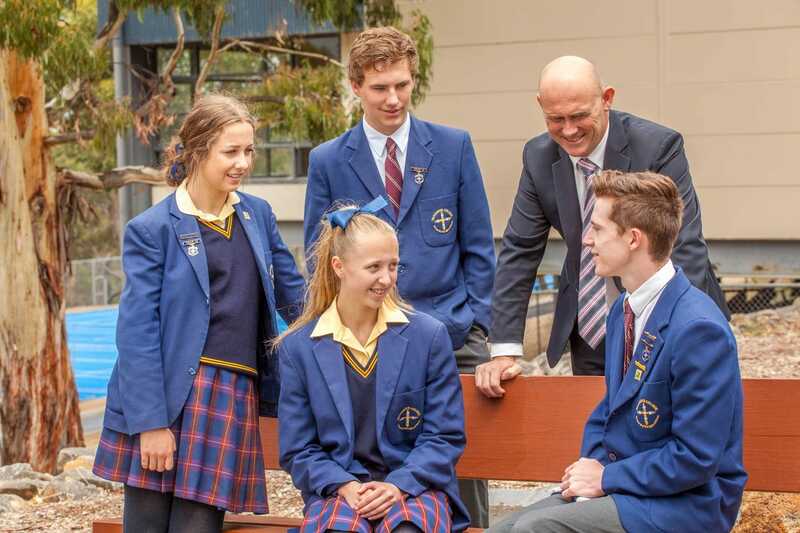 Where is your College located in relation to the Capital of your state/territory The school is approximately 20 km north-east of Melbourne's Central Business District. What is the nature of your College Congregational school, under the care of Mary Aikenhead Ministries and in the tradition of Sisters of Charity. All girls, Years 7 to 12. Our College is a learning community whose members work in partnership to provide a holistic approach to the education of our students. Our mission and charism is a lived reality for all in our community. 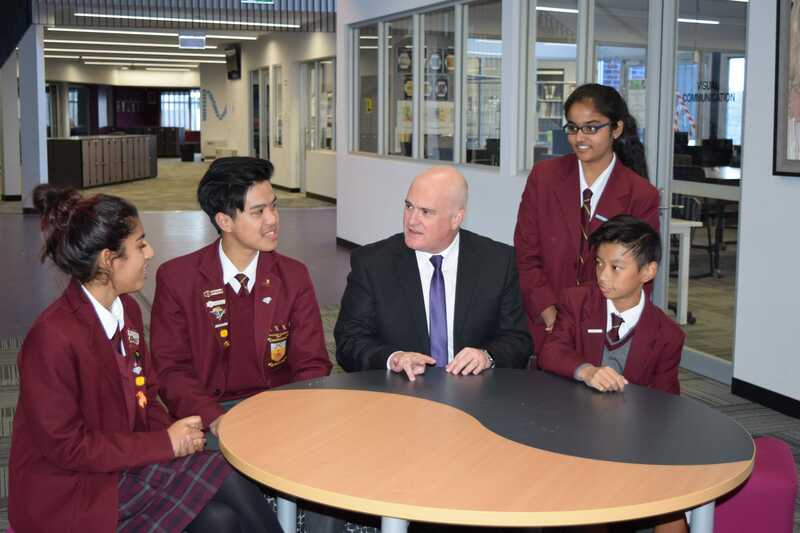 Our Catholic schools are challenged to ensure that they are authentically Catholic in identity, are centres for the new evangelisation, have high levels of Catholic literacy and a community committed to Christ's mission. What is the nature of your College Our Lady of Sion College is governed by the Sisters of Our Lady of Sion Ltd and maintains a strong commitment to the charism and educational mission of the Sisters of Our Lady of Sion. Our Lady of Sion College is very proud to be a school that seeks truth through learning in a community of caring relationships - a community where each student is valued and nurtured, encouraged and supported through the personal relationships we foster. Biblical values of compassion, justice, reconciliation, peace and love are the guiding principles that underpin all that we do. Commitment to continuring to provide secondary Catholic educaton for our local community.